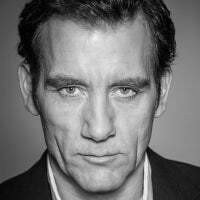 Clive Owen was born on October 3, 1964 in Coventry, England. In 1984, he was accepted into the Royal Academy of Dramatic Art and upon graduation, he found work at the prestigious Young Vic theatre, appearing in several Shakespearean plays. Indeed, Mr. Owen has been no stranger to the London stage over the years. Theatrical highlights include George Bernard Shaw’s The Philanderer at the Hampstead Theatre in 1991, Noël Coward’s Design for Living at the Donmar Warehouse in 1994, and Peter Nichols’ A Day in the Death of Joe Egg at the New Ambassadors Theatre in 2001. His most acclaimed stage performance in the UK was arguably his National Theatre debut, taking on the role of Dan in Patrick Marber’s modern classic Closer. In 2004, he would re-visit Marber’s masterpiece on film, this time portraying the character of Larry and ultimately winning a BAFTA and Golden Globe and earning an Oscar nomination in 2005. Over the course of his illustrious career on screen, Mr. Owen has also been honored with a Golden Globe and Emmy Award nomination for his performance as Ernest Hemingway in the 2012 TV movie “Hemingway & Gellhorn” and, most recently, a Golden Globe nomination in 2015 for his work on “The Knick”. Initially appearing on UK TV series such as “Chancer”, his first international breakthrough performance was in the 1998 film “Croupier”, where he starred as struggling writer Jack Manfred. Although he had a number of big budget movies under his belt, including appearances in “Gosford Park”, “The Bourne Identity” and the title role in “King Arthur”, it wasn’t until after the success of “Closer” that he became a regular in Hollywood. Films such as “Sin City”, “Derailed”, “Inside Man”, “Children of Men”, “Shoot ‘Em Up”, and “Elizabeth: The Golden Age” would follow. His most recent appearance on the silver screen was as Commander Arun Filitt in “Valerian and the City of a Thousand Planets”, which was released in July 2017. Clive Owen officially made his Broadway debut as Deeley in the Roundabout Theatre Company’s revival of Harold Pinter’s Old Times, which opened at the American Airlines Theatre on October 6, 2015. His second Broadway outing ran from October 7 through to December 17, 2017, taking on the iconic role of Rene Gallimard in the Broadway revival of David Henry Hwang’s M. Butterfly at the Cort Theatre.